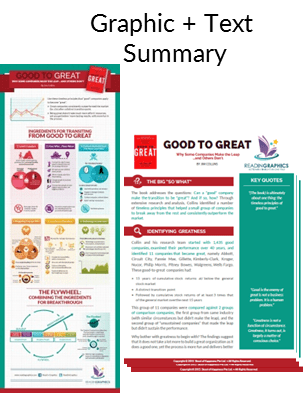 Discover the secret formula to make the leap from good to great! See more details below. 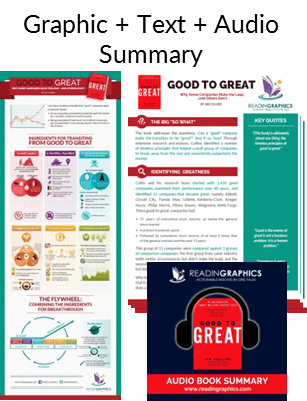 Download the Good to Great Summary in pdf infographic, text and audio formats, or preview the book summary via our blog. 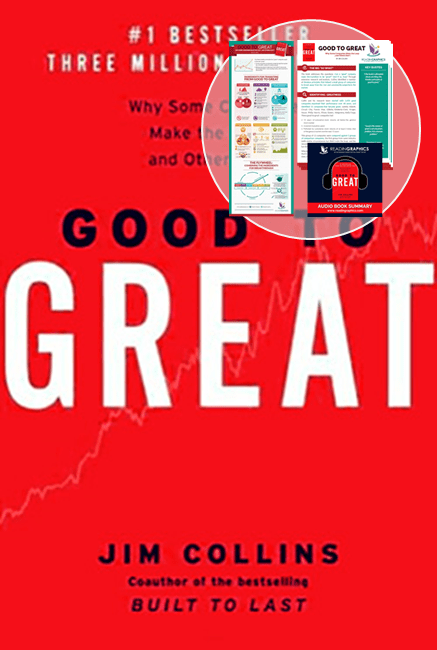 Discover the secret formula to make the leap from good to great! 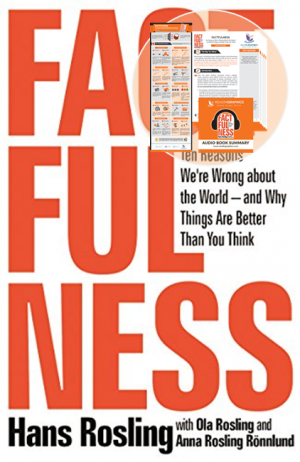 The book addresses the questions: Can a “good” company make the transition to be “great”? And if so, how? 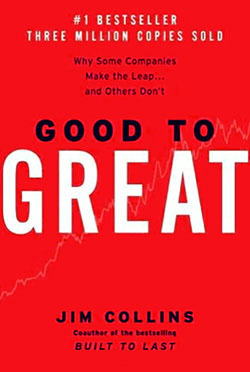 Through extensive research and analysis of some 1,435 “good” companies, Collins and his team found several timeless principles that helped a small group of 11 companies to break away from the rest and become”great”, consistently outperforming the market by at least 3 times. The 11 companies are: Abbott, Circuit City, Fannie Mae, Gillette, Kimberly-Clark, Kroger, Nucor, Philip Morris, Pitney Bowes, Walgreens, and Wells Fargo. 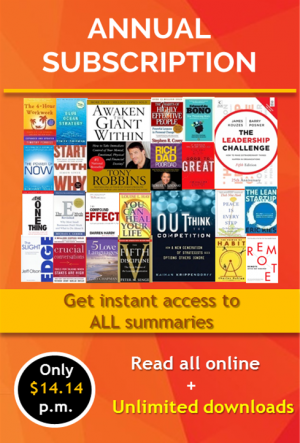 • Find out how the various ingredients come together to create unstoppable momentum, propelling the companies to greatness. 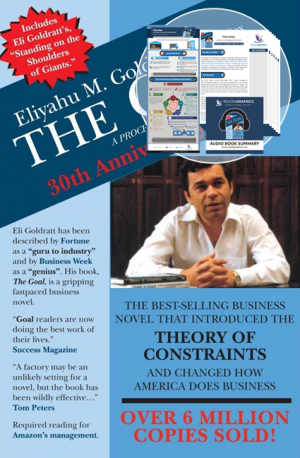 • Why do some companies thrive and others don’t? 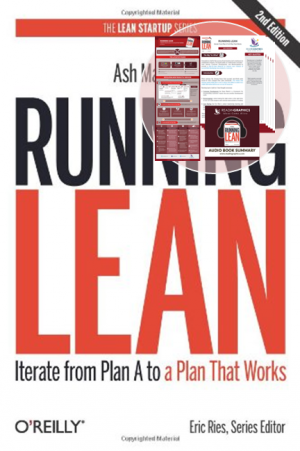 • How to build sustainable performance? 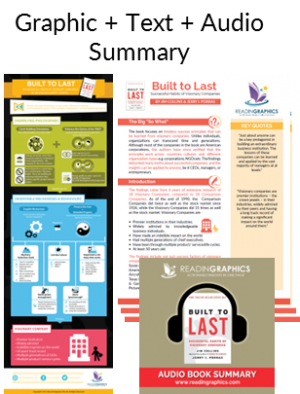 • What type of people and leadership are needed for long-term organizational success? • How to identify the right business niche/focus/sweetspot? • What type of technology should we invest in? 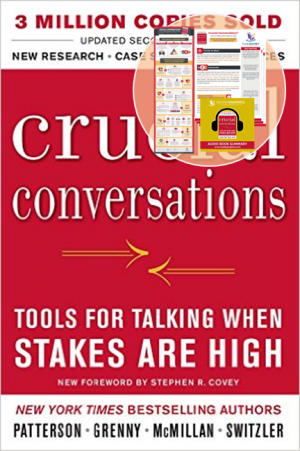 • How do we build a resilient culture that’s both disciplined and dynamic? This is my first Readingraphic book and whoa, it makes absorbing the contents such a breeze! The Hedgehog Concept really got me thinking. I am planning to start my own business and Good to Great has helped me to conceptualise what I want for my business and how I should move forward with it. Great Read!